Speaking in broad terms, there’s nothing in Deadlock you haven’t seen before. 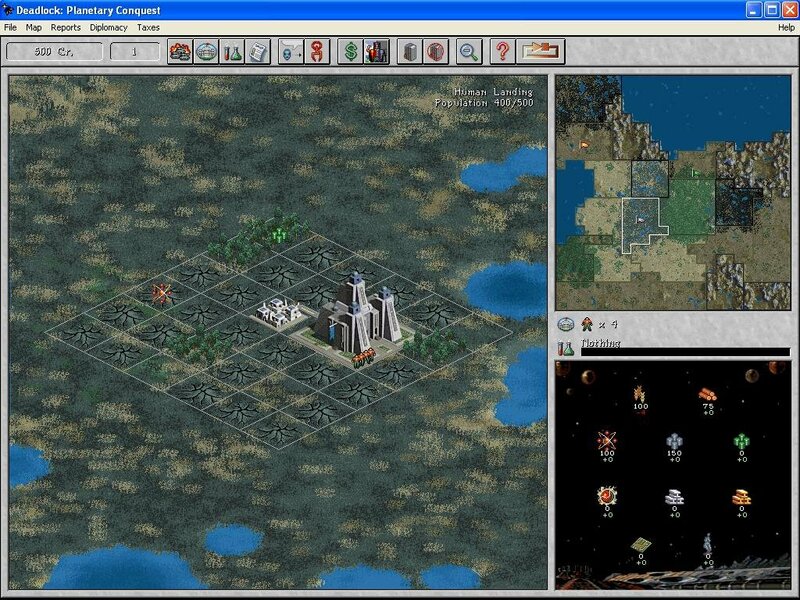 A turn-based game involving resource management, technology trees, and combat. Combat is automatic: you issue orders to your units and set them loose. The results are displayed via mini-movies, in somewhat the same fashion as Battle Isle 2200. The interface is cumbersome. 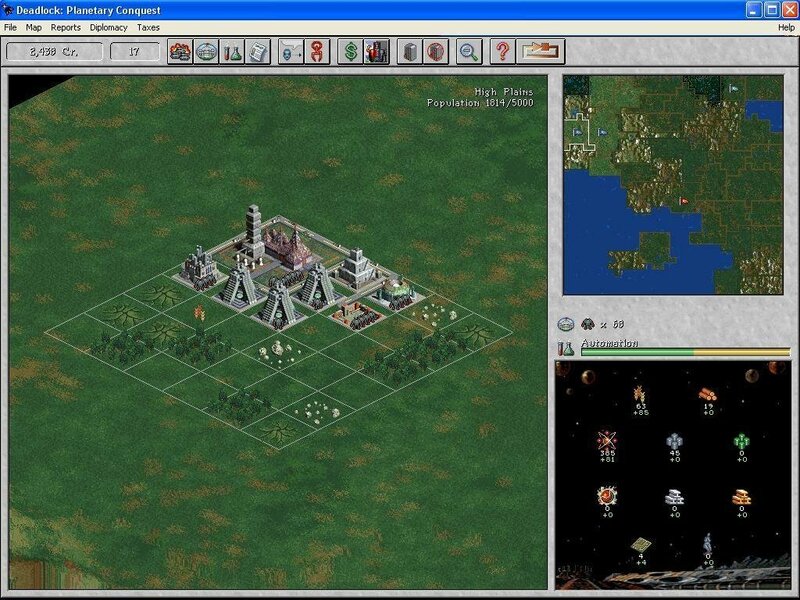 You’ll be eyeballing the world either one settlement at a time (where you do all your city management) or through a general overview (where you move troops and resources). In the latter, you can’t see the whole world at once. Worse, you can’t move a stack of troops as a single unit. 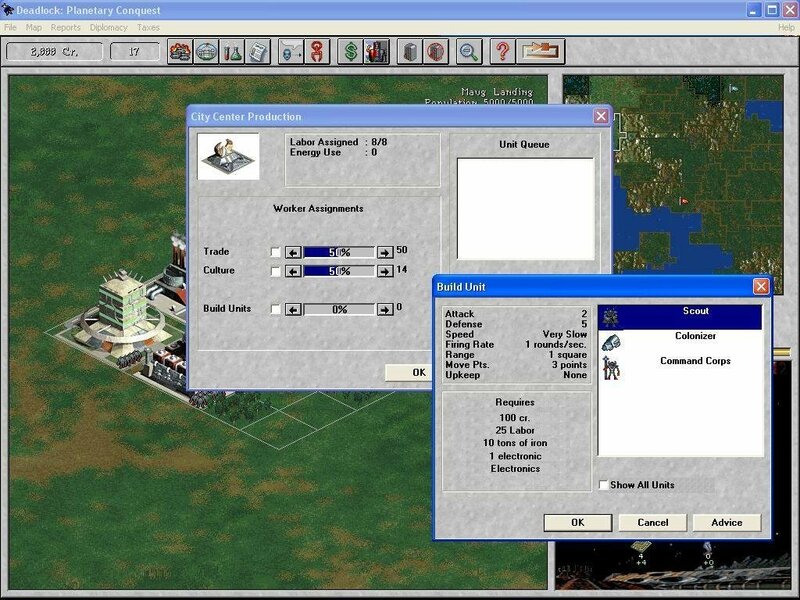 So if, for example, you want to send four missiles at a distant settlement, you select a missile, drag it up to the target, scrolling the map as you go, scroll back down, grab another missile, scroll it back up, and so on. It grows tiresome really fast. 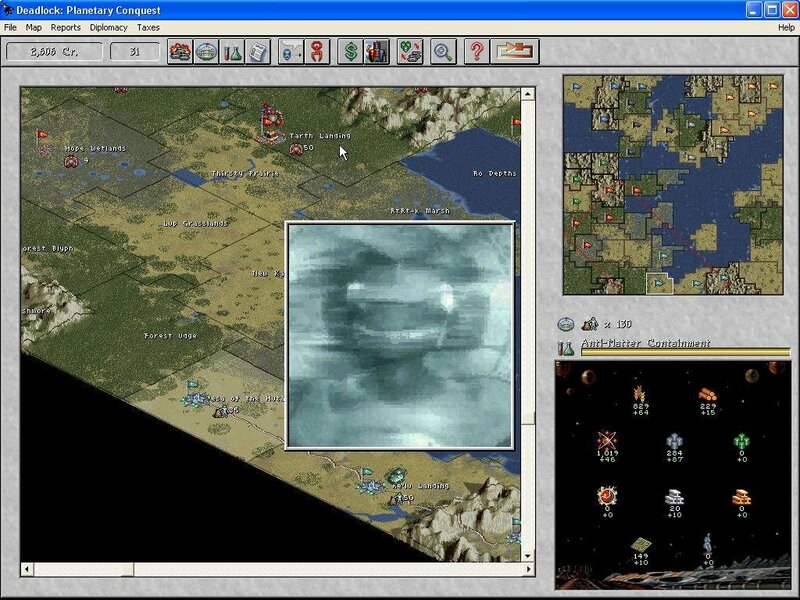 Beyond the interface, you’ll find a fairly familiar “conquer the world” game. The AI is nothing special. Setting it to higher levels just makes your opponents cheat. On the brighter side, each of the different races really is different, with its own individual strengths and weaknesses. Learning how best to play each race (mostly for future multiplayer games) will keep you occupied for some time. In general, the game-related parts of the product are well thought-out. It’s the user interface and other mechanical aspects which have all the problems. 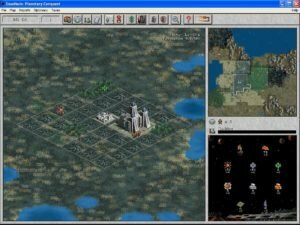 Overall, Deadlock is a pretty average Civ-style conquer-the-world game, which gets a bit better when played against human opponents.